"5 Advancing Technology Trends In E-commerce That You will See In 2019"
"IoT And Cloud Computing To Transform Mobile App Development"
Its 2019 and technology has already progressed a lot more beyond our imaginations. Many things have changed, for going to the store to purchase dresses every time, we just order them online. Our smartphones and the mobile applications within them have grown so much. The truth is that its development is not yet complete. There are newer innovations that are being developed and integrated with mobile applications to make them perform better and transform lives. One among them is the Internet of Things (IoT). You must be aware of what IoT is if you are updated with the technological developments. For those who are not aware of what it means, IoT is a network of interconnected computing devices which has the ability to transfer data to and from without requiring human to human or human to computer interaction. Mobile applications development and IoT go hand in hand today and IoT is all set to change the way with mobile apps. There are several new trends are coming up with mobile applications like Artificial Intelligence (AI). Let's see how IoT will bring around some changes with mobile app development. It is true that IoT is quite expensive and so most developers do not know where to begin with. Also, one other fact is, earlier, developers used to ask what the function of the mobile application was. With IoT, now they have to ask the question on what is the device's function. This call for the necessity of the developers to have enough knowledge with them about the technology they are dealing with even before beginning to develop the application. As we all know that software development happens in different levels or stages and not all in one stage. Now, since we are talking about IoT which is in its early stages of being developed, developers should know that the different levels of development for mobile app development using IoT will be quite different from the usual. This will more likely even require coders to develop some new languages so that everything will go together smoothly and in the right way. But as you might have guessed, all these won't happen right now since IoT and mobile app development with it are in the process of being developed. So, not long from now, all of these will be required. As we know it, open source development plays an important role in mobile app development. Since program codes are freely available, new programmers are ready and will try to create newer applications. 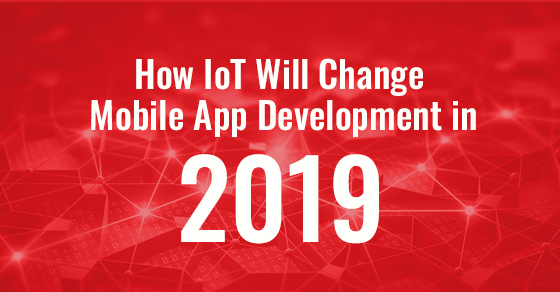 With IoT making it's way stronger into mobile app development, programmers are definitely awaiting the codes to be open source ones so that even they too can try and create new mobile applications. With the implementation of IoT, devices will no longer be needed to be connected with the cellular services, Bluetooth or even the Wi-Fi. Hence, developers should figure a way to determine how then the application will be connected to the internet. Since IoT is in the early stages of development, developers are still trying to figure out ways to do this - to figure out a way around connectivity. Today, being a mobile app developer, you can never surprise anyone with an Android or iOS application. Also, with the rate at which IoT mobile app development is progressing, it is highly essential that you to learn and develop your skills in creating mobile apps using IoT; because, not long from now, IoT mobile app development is going to be the major thing itself. It is obvious that IoT is surely a breakthrough technology in the field of mobile app development; and, only time will show how things are going to turn.